Let me get this out of the way right now: this is a tremendous book. I have a couple of criticisms, which I will get to, but hot damn. 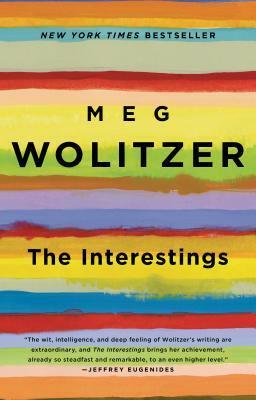 Meg Wolitzer has written an astonishingly clever, detailed novel, and the utmost respect must be given to that. Remember this book, because it will definitely be popping up again when people begin compiling best-of lists for 2013. But let’s talk about the novel, shall we? In 1974, six teenagers meet at a summer camp for the arts and jokingly refer to themselves as The Interestings–exactly the kind of ironic, half-kidding-half-hopeful joke that captivates them at that moment in time. The six run the gamut of the art world: a dancer, a musician, an animator; an actress who wants to further the cause of feminism in theater, a wannabe architect, and a comedic actress. The latter character, Jules, forms the center of our story. Significantly, she’s also the outlier. Jules isn’t an artist when she ends up at Camp Spirit-in-the-Woods. It’s unclear how she found her way to a camp for artists when there were so many different options out there (one of those woefully nitpicky details that nevertheless irked me); she simply wanted an escape from her family and the grief they all feel after the abrupt death of her father from cancer. What’s important is that she’s an outsider in this world when we first meet her, and she very much discovers herself once she has been thrust into The Interestings. She doesn’t feel like she belongs but she desperately wants to. She discovers an ability to make people laugh and parlays it into a comical role in a camp play–a moment that overwhelms her with the sense that she has arrived, that she has found her life’s calling. Through the course of the novel we follow The Interestings through the next forty years or so–some closely, intimately, others at a distance. And it’s here that Meg Wolitzer achieves genius status in my mind. It would be tempting to call The Interestings a coming-of-age novel. It would be tempting to say that it’s about success, both personal and financial, and which ultimately matters more (a la The Turning Point). It would be tempting to say it’s about art: how it is expressed, how it is celebrated, and how the definition changes over time. It would be tempting to say that it’s about friendship. It would even be tempting to say that it’s about talent–that curious quality which can be overlooked, rejected, celebrated, and evasive. But to say any of those things would be reductive. The Interestings encapsulates all of them, but what it really seems to be about to me is life itself. Nowhere have I experienced a more profound rendering of characters moving, growing, and evolving through time. Shockingly, everything feels organic. Wolitzer has such effortless control over her narrative that nothing felt contrived. Characters age, realize how much time has gone by and how old they are in a way that resonates. Disasters strike, but they feel like the curveballs that life throws at you as time goes by (even more astonishing, the way the characters respond to these occurrences feels natural to who they are). I’ve read so many books that suffer from what feel like random acts of plotting; so many novels where the twists, turns, and choices feel like things that need to happen in order for the plot to move forward rather than things that do happen. By the end of the novel each character forms a palimpsest, making it possible to see all the layers of the person they have been through their lifetime. It comes as no surprise that Jeffrey Eugenides provides the rapturous blurb on the cover of the beautiful jacket, because I couldn’t help but think that this is the novel Eugenides was trying to write when he wrote The Marriage Plot. Replace his tedious musings on literary theory with musings on art and you’re pretty much there. One of the characters even struggles with mental illness. The Interestings is a novel of astonishing intelligence and wit, and I do hope that you enjoy it as much as I did. 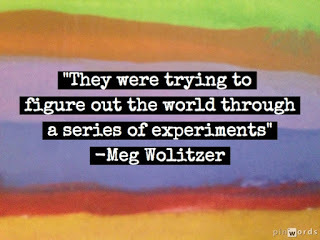 I can’t wait to explore Wolitzer’s work further. PS As a primer on Wolitzer, may I recommend this fantastic article she wrote for The New York Times on, among other things, the role of gender in literature, book jackets, and publishing itself. PPS In accordance with my mission statement, it behooves me to tell you that I received this book as a member of Amazon’s Vine program.